Danish modern theme and this Sam Maloof dresser was calling to me. I drew it up but shortened the width from 60" to a little under 48". 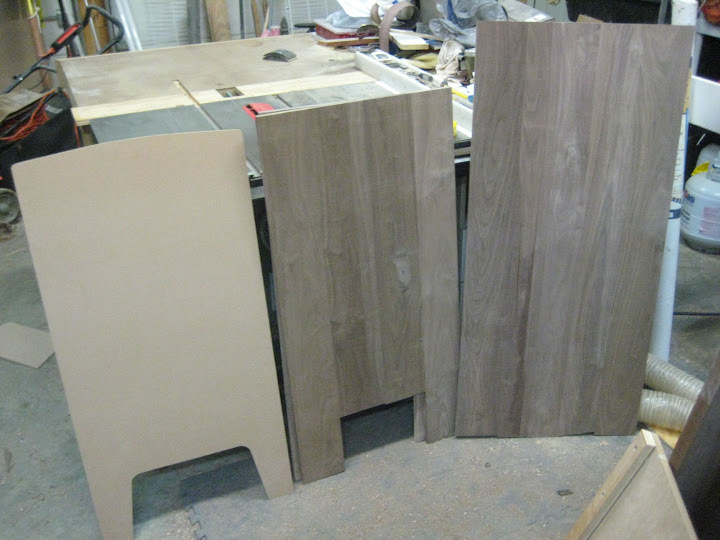 side panels, the top and bottom, and the middle divider. Maloof did but I'll hide them with matching walnut plugs instead of ebony. Stay tuned for some construction pics. Last edited by atgcpaul; 08-22-2011, 10:24 AM. Reason: Why, Google, did you change all the links?!!!! ARGH!!! Paul, sounds like you are moving right along with your daughter's dresser. It will be a piece that she can use as she grows and being walnut she will probably want to take it with her to her own home. I thought I was wrong, but I was mistaken. Nice idea, I really like all of Maloof's furniture, not just the rockers that get all of the attention. How are you going to do the bull nose on the dividers? I have looked ay pictures of these dressers but don't see how the vertical and horizontal shapes meet. Please post pics of your progress! Last edited by jonathan55; 03-14-2010, 11:58 AM. Yeah. That's one of the things in the back of my mind right now, too. Not a lot of responses over on Woodnet. All of my projects have at least one major challenge in it. These roundovers will be it. Wish me luck. Pics coming soon. Taking a close look at the pic in my copy of The Furniture of Sam Maloof, it appears the horizontal parts have toungues which are let into dadoes on the vertical parts. 1. Mill the stock to size. 2. Do your roundovers (I'd do it in the router table). My logic is that if you were leaving the stock square, it would match up. So if you're doing roundovers on square stock, they should match up, too. running them through the drum sander. thicknesses of like pieces ie top/bottom and sides/dividers to be the same. approximated the curves in the orginal pretty well--if I do say so myself. adjust my plans a little. Originally the sides were going to be 21 3/4" wide. 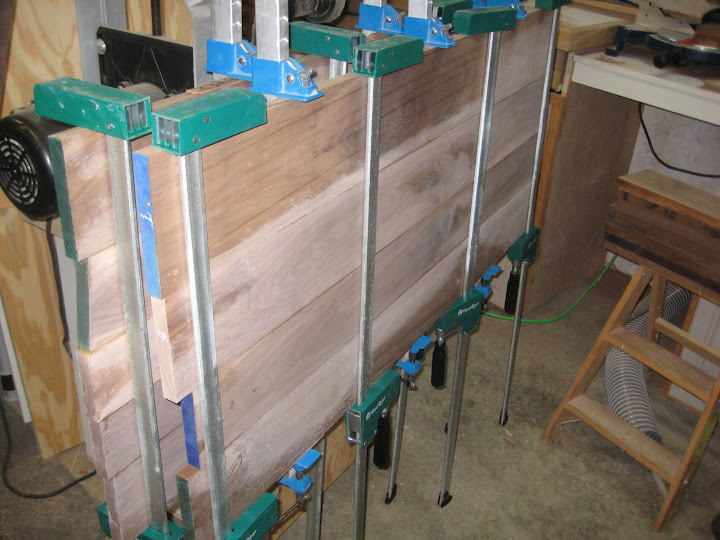 After milling the wood for the sides, the max width I could get was 21". That's what I get for buying the less expensive 6' shorts--fewer options. No biggee. 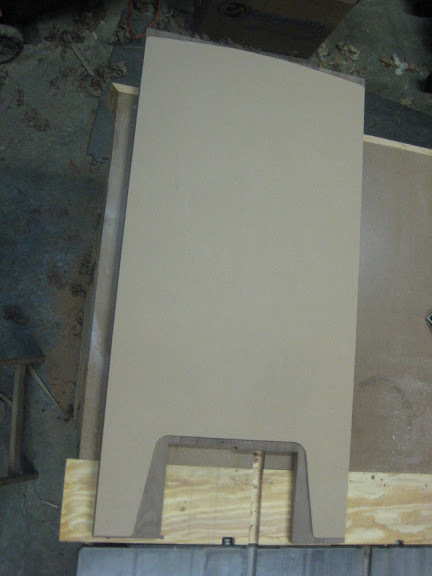 Parting shot of the template next to one of the sides and the top. to cut tongues on the edges of the top and bottom and do a dry fit. Last edited by atgcpaul; 08-22-2011, 12:59 PM. Reason: Google, you done me dirty! I've considered doing this but this is the problem I envision happening. There will be a gap at the edge where the sides meet the top and bottom. I'll use files and rasps to finish off the roundovers. Take a close look at the original piece Paul.. 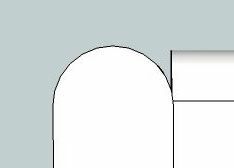 I notice that in your sketch-up you have the sides and drawer supports flush at the front. I believe Maloof has recessed the drawer supports so the leading edge of the supports is in line with the bottom of the round-over in the sides. That eliminates the gap. If he had brought the dado flush as you intend.. you would see the joint where the supports attach to the sides. You don't and that is why I think the supports are recessed as I would do to eliminate the problem if I designed the piece. I would personally recess them in this design to eliminate the problem as it is a problem. I would cut the dadoes in the side panel but end them about a half inch short of the front of the side. 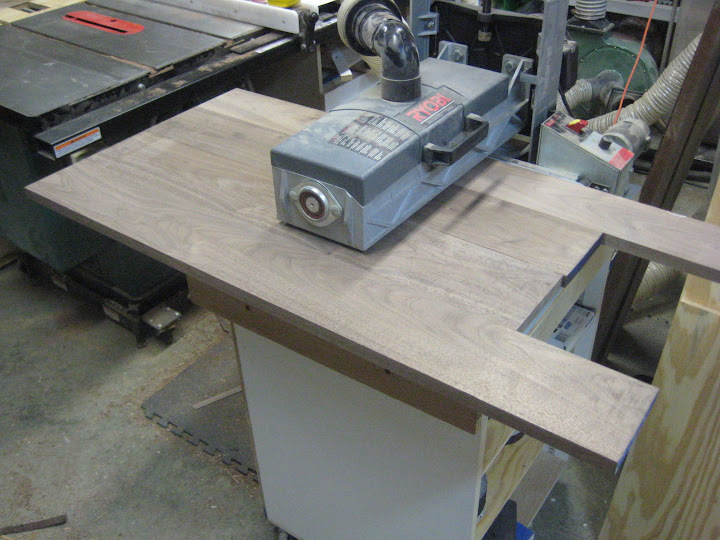 The side to side drawer supports would be the intended show lenght plus the additional depth of the dado on each end. But you cut off 1/2" of the tenon stub in the front once you make the tenon for the dado so the support fits in the dado and then L's flush with the side with the supports foremost edge at the base of the bottom edge of the side panel round-over. You may not understand what I am saying here but it is really simple. I would do you a drawing but I don't know how to do that stuff. Wish I could show you as it would take about 15 seconds to explain in person by pointing it out physically. Anyhoo.. good luck and enjoy! Last edited by SARGE..g-47; 03-15-2010, 10:52 AM. shelves. I didn't want the dadoes to show in the front. I think Sarge is right about the reveals on the side panels. However that still leaves the center panel which seems to meet flush with the horizontal pieces. Maloof seems to have dadoes into the center panel, into wich fit toungues on the ends of the horizontal pieces. So your drawing might be modified to look like this. The front of the horizontal piece is rounded over, not square, so it meets the vertical piece properly. I agree, the shapes are great! If you see them on the right side facing the photo (the closest side in the picture) Paul... your young eyes are much better than mine as I simply don't see where the dado comes all the way through. If two round-overs meet flush logic tells me there has to be a gap unless both pieces were coped in some form to eliminate a gap but I don't see evidence of that in the picture either? I do see that in the vertical center stile though... just not the sides. I personally believe from I see in the picture the horizonal supports are recessed ever so slightly with the side round-over being more delicate than the round-over on the support. But.... my eyes could and can decieve me. I am curious to see the results of how you handled it. Teach an old man with bad eyes something here! But.. I am curious to see if you can pull this off wtih a flush fit. Last edited by SARGE..g-47; 03-15-2010, 11:50 AM. 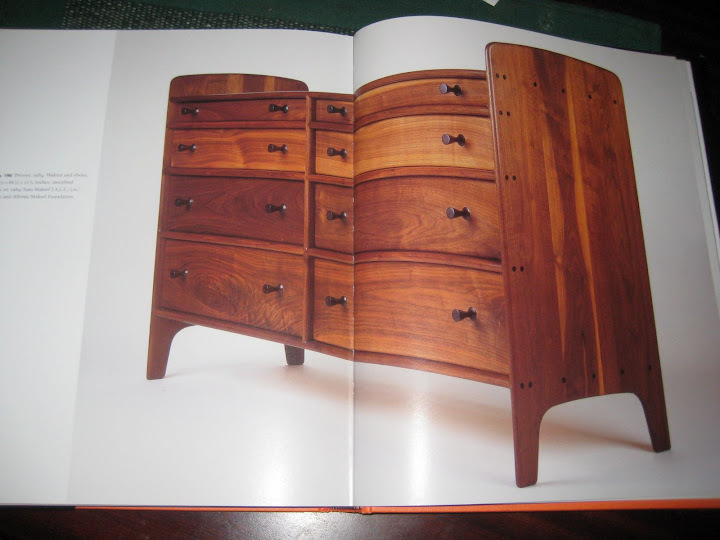 reading about the Maloof dresser, take 2! Thanks for the heads up, though. use my template just to trace the layout and then jigsaw it really close to the line. If you see them on the right side facing the photo (the closest side in the picture) Paul... your young eyes are much better than mine as I simply don't see where the dado comes all the way through. took a photo of...yeah, I'm no eagle eyes. casework is just as nice to look at. I'm definitely wrong. I just made sample joint using my theory and it didin't work out, for the exact reason you said. I think you're going to have to assemble the case then do the roundovers. You'd probably want to make a special base, as described in your Woodnet thread. Alternatively you could freehand it as Maloof wouild do!